This is a fairly common mortgage question because we humans aren’t very patient. This is compounded by the fact that we’re asking for a very large sum of money for something we just must have. Because of that, the process does take time. After all, you’re not buying an ice cream cone, you’re buying a house or asking one lender to take on your old loan and present you with a new one (refinance). Back in the day, around the mid-to-late 2000s, mortgages could close really quickly. This was partially because underwriting guidelines were pretty flexible, and also because lenders were well-staffed and very competitive. In fact, it was common to get approved for a mortgage in 24 hours, or even the same day. Yes, you could submit a loan package in the morning and get a conditional approval from an underwriter that same afternoon. Then the mortgage crisis happened and things slowed down a lot. The fast and loose days were over and banks and lenders were a lot more careful about doling out hundreds of thousands of dollars. Today, things have normalized, though because there are a lot of regulations and timelines lenders have to work with, the average loan closing will take anywhere from 30-45 days or longer. And instead of getting approved in 24 hours, or even a few days, loans are thoroughly processed before landing on the underwriter’s desk. This means the actual approval might take a couple weeks, but it will be a firm one with few if any remaining conditions. Back in 2006, you might have been “approved” in 24 hours, but you needed to send in 20 conditions to actually close the loan. This number tends to hover between 40-45 days for both purchases and refinances. There’s typically very little difference between the two in terms of timelines. However, this is just an average. There are mortgages that will close faster, and mortgages that will close a lot slower. Like most things in the mortgage world, it’s tough to generalize because every loan (and corresponding borrower) is so different. But as a rule of thumb, the more vanilla you are as a borrower, the quicker the process should go, all else being equal. Of course, not everything is equal because banks and lenders operate very differently from one another. Some banks will literally take 90 days to close a mortgage because they’re just really thorough (aka slow and overly prudent/conservative), while others will strive to close your loan in 2-3 weeks, if not sooner. 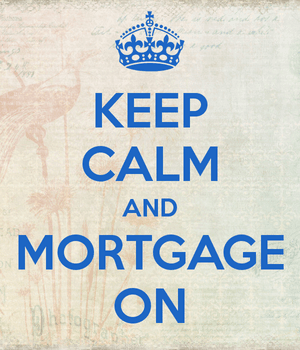 Well, the mortgage process is very involved and requires a lot of hands to touch the loan before it actually closes. We’re talking a loan officer, an underwriter, a processor, an appraiser, a title company, escrow company, an insurance company, a funder, a closer, and so on. Have you ever tried to get a couple people to coordinate on one thing? Heck, it’s hard enough to get three people to agree to a time and place for dinner. The same goes for mortgages. Even in the best-case scenario, where you’re a vanilla borrower with a W-2 job, one bank account, an excellent credit score with no recent activity, refinancing a conforming loan, it can still take several weeks. Part of this delay is due to the home appraisal, which is usually required to ascertain the value of the property in question. Lenders can’t lend if they don’t know the value of the collateral, your property, so they’ve got to order an appraisal. This process can take 7-10 days or longer, depending upon the schedule of the appraiser. This is why lenders will often want to book the appraiser early on so they can get the darn thing done and delivered to the bank. The good news is this can go on in the background while you and your loan officer (and loan underwriter) take care of the particulars on your loan. This may entail gathering documentation, sending over Letters of Explanation (LOEs), and so forth. If you’re curious how long it will take to refinance, it might depend on when you started the process and how many days are left in the month. Many mortgage brokers and loan officers will try to time your loan closing for the end of the month, either so they can earn their commission and hit a monthly funding target, or to save you money on closing costs. It’s kind of when everyone steps up and works to clear the pipeline. However, it’s also the busiest time of the month and can add unnecessary stress to the process. It could also depend on when you want to close, and if you want to skip mortgage payments, for example. When it comes to a home purchase, the loan closing date will be driven by the close of escrow date. If you and the seller agreed on 30 days, expect the mortgage to take 30 days. If you agreed upon 45 days, you’ll get more time to close the loan. If it takes longer, expect to pay additional fees like per diem charges, lock extensions, and so forth. This is why it’s important for the real estate agent(s) to decide on a reasonable escrow based on the lending environment. No one wants to get stuck paying extra fees. In summary, expect the mortgage process to take anywhere from 30-45 days, on average, depending on the lender, the borrower, and the loan. Some disruptors are trying to shorten that timeline, but for the time being, expect 4-6 weeks or longer. And remember, the more on the ball you are, the quicker the process can go. So you matter a whole lot as well. Try to submit as clean a loan package as possible, be receptive to paperwork requests, and don’t go on vacation mid-loan. You’d think people wouldn’t, but it happens all the time.